MOSCOW (Sputnik) - At least 11 people were wounded after six rockets launched from Syria's northern Afrin district hit Turkey's southern provinces of Kilis and Hatay, the Daily Sabah newspaper reported Friday. 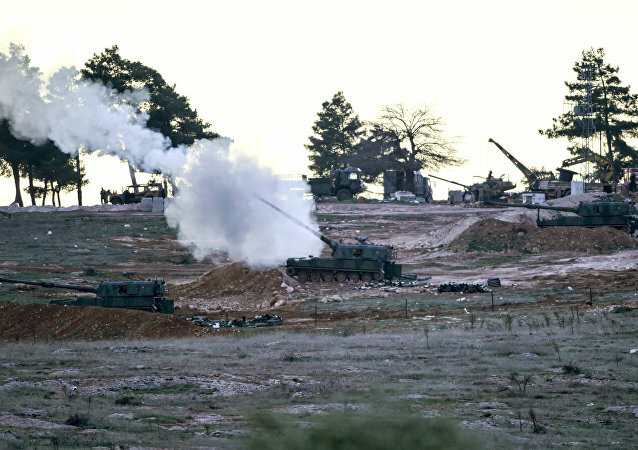 As Ankara's operation in Syria's Afrin has been underway for over a week already, retaliatory strikes from Afrin's Kurdish groups has led to several casualties and many more injured civilians in Turkey's border regions. Turkish military are sending armored vehicles and gendarmerie forces to the border with Syria, Anadolu news agency reported on Wednesday. Turkish armored personnel carriers and other military vehicles were transfered to the border town of Kilis, near Syria, according to local media. At least 21 people were killed in the Turkish city of Kilis near the border with Syria in recent weeks as a result of rocket attacks, carried out Daesh from the Syrian territory under jihadists'control, Turkey's presidential spokesman Ibrahim Kalin said Wednesday. 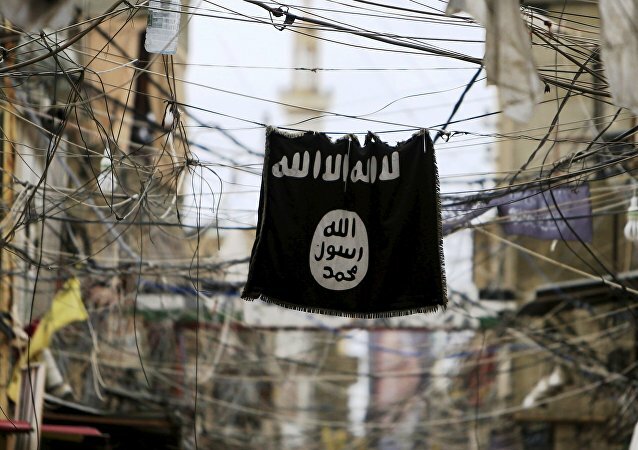 Four wounded Daesh fighters have been treated at the Ersin Arslan regional hospital, located in the Turkish city of Gaziantep, an unnamed source told Sputnik. They were admitted on May 5, the medical worker, who spoke on condition of anonymity, added. Nasuh Mahruki, the head of AKUT Rescuers Union, spoke to Sputnik in an interview about the ongoing violent attacks on the city of Kilis by Daesh militants. Ankara has blamed Russia for violating Turkish airspace, but Daesh militants, who are firing rockets across the border from Syria, are the country's real enemy, columnist Yavuz Semerci wrote for the Habertürk newspaper, referring to recent attacks on Kilis. Turkish Prime Minister Ahmet Davutoglu said that Ankara was ready to send ground troops to Syria unilaterally if need be in comments that came in sharp contrast to his earlier stance, retired Brigadier General Haldun Solmaztürk told Sputnik. 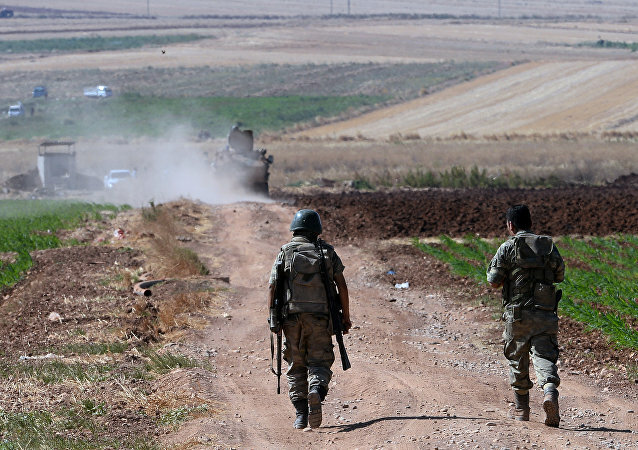 The Turkish border town of Kilis was subjected to rocket fire originating in the Syrian border area controlled by Daesh terrorist group, local media reported Friday. Ten people were reportedly injured and one was killed after two shells exploded in the southern Turkish town of Kilis, according to local media. On Monday, the southeastern Turkish city of Kilis was shelled from Syrian territory controlled by Daesh. As result of the attack, four people, three of them children, died and 19 were injured. Abidin Uslu, who witnessed the shelling, shared his impressions with Sputnik. Four Syrian refugees, including three children, were killed as a result of an attack launched from Daesh-controlled territory in Syria. At least three rocket-propelled projectiles fired from Syria have landed on Turkish southern territory, injuring at least six people, local media reported Tuesday.